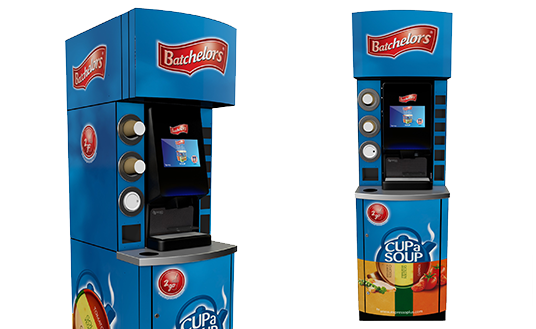 Our range of self serve drinks to go machines are versatile, modern and dynamic. 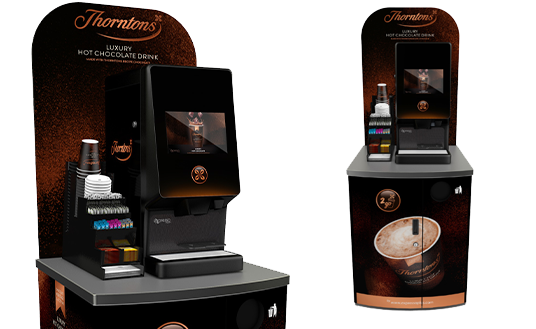 With industry-leading features like HD touch screens, remote advertising and drinks customisation, our commercial drinks to go machines add value to any space. 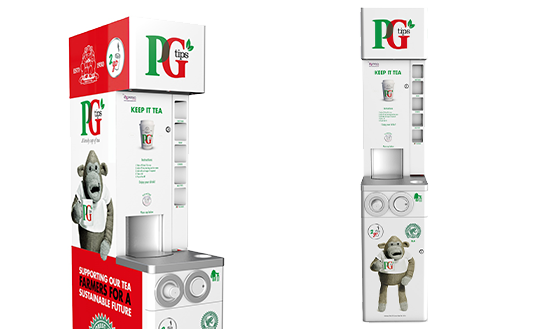 Explore our stand alone self-serve drinks to go machines or call us in to design a dedicated area. 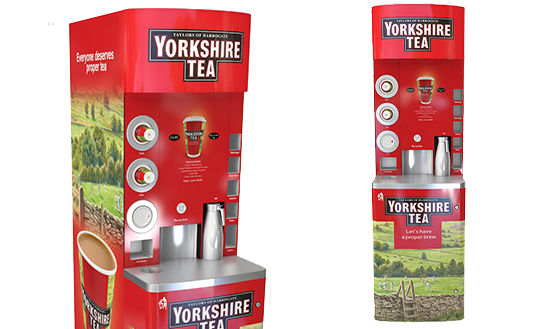 A boldly branded tea to go machine serving Yorkshire Tea’s famous ‘proper brew’ that stands the test of time. The Batchelors Nano S is one of a kind, offering a quick meal solution for customers to enjoy on the go. 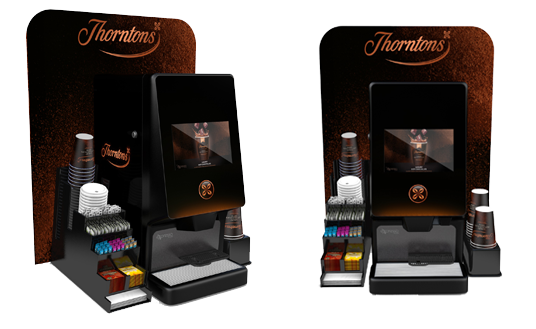 The Thorntons Nano HC combines luxury with convenience, using Thorntons’ unique chocolate recipe. The Thorntons Piccolo Hot Chocolate solution combines luxury with convenience, using Thorntons’ unique chocolate recipe. 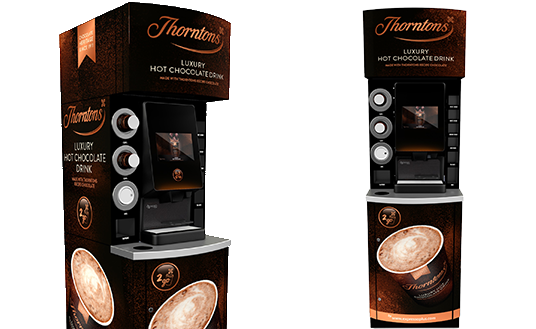 The Thorntons Futuro Hot Chocolate combines luxury with convenience, using Thorntons’ unique chocolate recipe. With a branded coffee machine, you have the opportunity to attract brand loyal consumers and set your own retail prices so that you can maximise your profit. Use the radio buttons to work out profits based on cups sold per day.